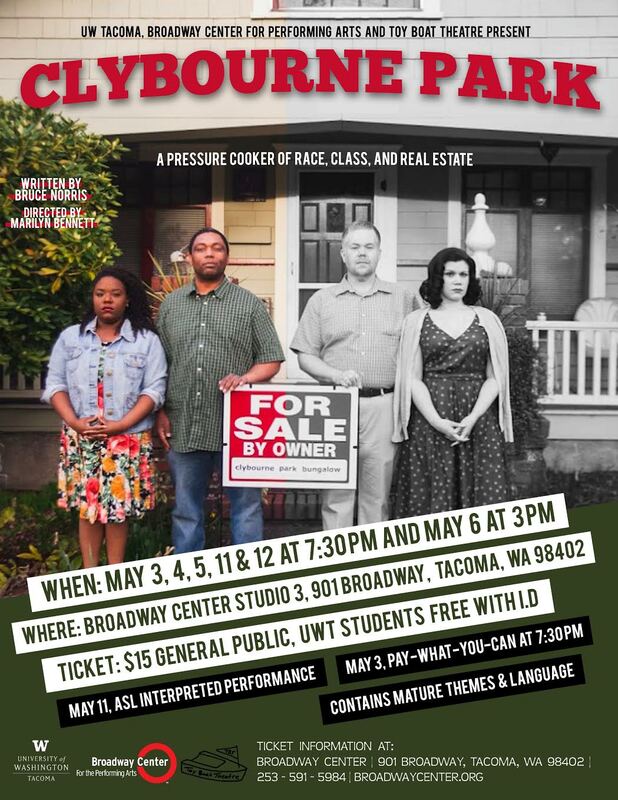 Broadway Center for the Performing Arts, University of Washington Tacoma, and Toy Boat Theatre have teamed up this spring to present Clybourne Park, a darkly humorous drama exploring issues of race and real estate in America. 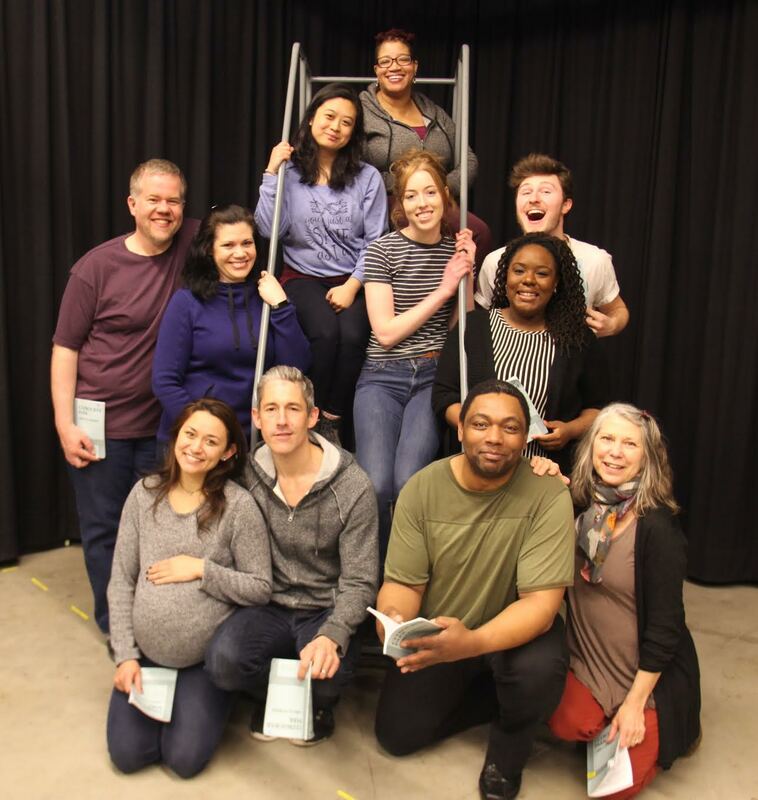 The play is directed by Marilyn Bennett and features a local cast and crew comprised of community members and UW Tacoma students. Tickets: $15 general admission, UW Tacoma students free with student ID, pay-what-you-can on May 3. Purchase online or through the Broadway Center box office. Winner of both the Tony Award for Best Play (2009) and a Pulitzer Prize (2011), Bruce Norris’ Clybourne Park imagines the circumstances after Lorraine Hansberry’s groundbreaking play, A Raisin in the Sun–New York Drama Circle’s Best Play of 1959–immediately after the play, and fifty years later, in 2009. As race and real estate collide in a series of emotional, explosive, and at times shocking confrontations, Clybourne Park challenges our notions of how far we have come toward true racial acceptance. Clybourne Park contains adult material, language, and themes.